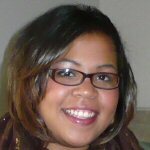 Lekeisha Harding is a student at the University of Washington in Seattle, Washington. She is working towards a double major in Sociology and Comparative History of Ideas (CHID). During her undergraduate experience she has been involved in various student organizations including UW Leaders, Black Student Union (BSU), Sisterhood, and Zeta Phi Beta Sorority, Inc. She is currently the Assistant Director at Bitter Lake Community center’s 2nd-5th grade program. She intends on continuing her Graduate education on the east coast while working within the non-profit sector to support projects focused on to resource allocation for schools and community organizations as well as youth development in the inner city.